Every Tuesday and Thursday InstaParking gives you a round up of news that matters for Airport Parking operators and patrons. Parking Special - Use the code "SEPT4" for Exclusive $4 Off for September at AirportParkingReservations.com through September 30! 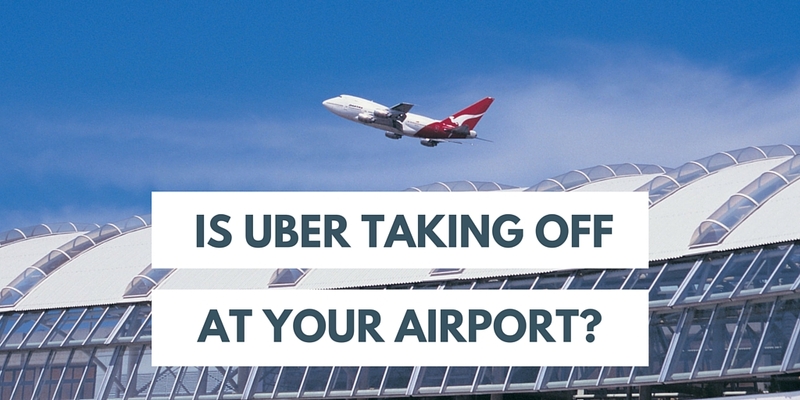 Is Your Airport Welcoming Ride Sharing or Telling Them to Take a Hike? Three Cheers for the Sarasota-Bradenton International! Airport Welcomes Uber! Last week we editorialized about airports keeping Lyft and Uber off their grounds. In general, how airports and quasi-government entities as a whole resist change and disruptive innovation. Ride sharing services are just the latest disruptive innovation to be blocked. ZipCar and other car sharing services went through the same issues a decade ago and off-airport parking operators have been struggling to deal with the airport entities for years. However, There are forward looking people, even in quasi-government entities, which realize that the convenience of ride sharing is a good thing. It's good customer service and makes happy customers. Happy customers are good for business. Where McCarran banned Uber and Lyft, Sarasota-Bradenton Airport welcomes Uber in with open arms. They have changed airport policy to make it easier for the customers to take advantage of ride sharing. That is why we should prase the folks at Sarasota Bradenton. Here is today's InstaParking Airport Parking News. Give us your comments at the bottom of this post. Sarasota-Bradenton International Airport has extended its free short-term parking time to make room for Uber. That change and a 28 percent decrease in landing fees were part of Monday's approval of the Sarasota Manatee Airport Authority’s 2016 fiscal year budget. Charlotte City Council approved spending $7.8 million on the next piece of a major airport expansion plan Monday: a new concourse that will add gates where rental cars once parked. The concourse will be located just north of the existing Concourse A, with nine new gates for jets to load and unload passengers. Charlotte Douglas International Airport currently has 96 gates, so the additional capacity will push it over 100. An updated agenda, including a variety of newly confirmed speakers, is available for the Parking and Landside Management Workshop. The meeting is scheduled for Oct. 19-20 in Dallas, Texas. For a premium, travelers who park their vehicles at Fargo's Hector International Airport can now reserve parking spaces near the terminal. Use the comment section at the bottom of this post to tell us what you think about Lyft and Uber airport transportation and ride sharing in general. To get this emailed to you every Tuesday and Thursday, sign up for the InstaParking Email List.